We had a pretty basic fridge when we moved into our town house 6 years ago. Some shelves, 2 crisper drawers, and basic shelves on the door. One open freezer at the top (no shelves except for the ones on the door). 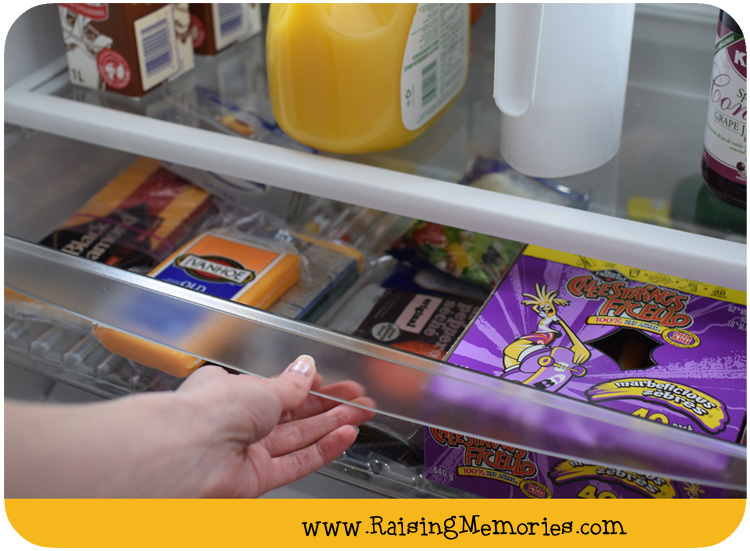 Our new Frigidaire Gallery® Custom-Flex™ Refrigerator has several different features that we are really excited about and I wanted to share those with you today! Next up is the Store-More™ Drawer. I love this drawer for storing cheese (because we like to stock up on it when it's on sale) and sandwich meats. It's a very wide drawer and perfect for those low-profile items that you need to store but would prefer not to put on your shelves with more height available! 3. Full Height: It can flip up and leave a full shelf below it with tons of height! See that bright white rectangular shape in the top, left corner of the photo above? That's the Superior LED Lighting. It keeps the fridge & freezer bright (making it easy to find food) but uses less energy. So those are some of the awesome features, beyond the Custom-Flex Door with Sliding Bins and Accessories (my other favourite feature!) which I already touched on in a previous post about fridge organization. 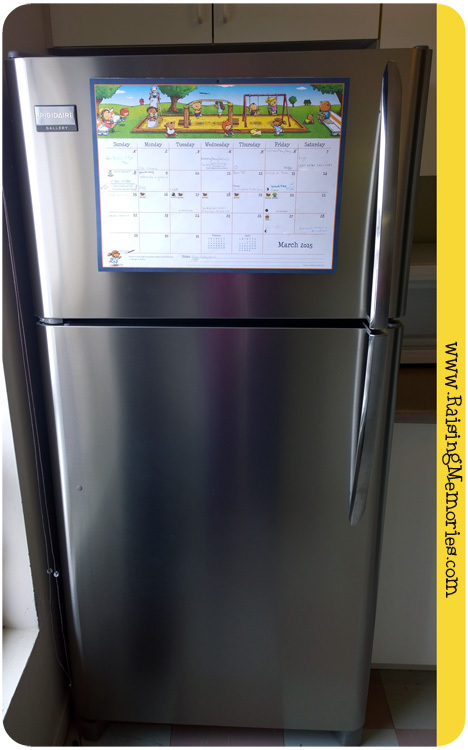 I'm very excited to be one of Frigidaire's #TestDriveMoms because we are having a lot of fun with this fridge! Disclosure: I am part of the Frigidaire® Canada Ambassador program with Influence Canada and I receive special perks as part of my affiliation with this group. The opinions on this blog are my own. The flip up shelf and smudge proof finish -amazing! Those features alone make this a winner. 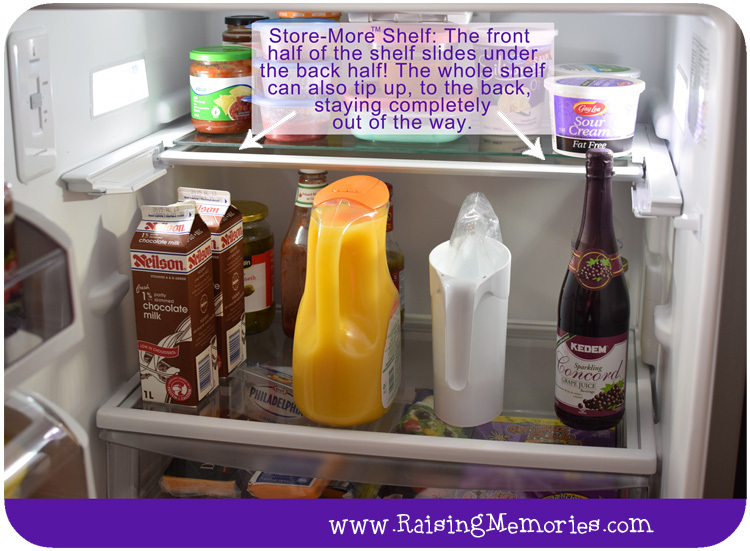 I love the half shelf for those times you have tall bottles in the fridge. It is not often we have win bottles, but when we do we have to store them in our basement fridge to stand them upright. I like how you can shuffle around the fridge to suit your own personal needs. In our fridge, I can never find what I'm looking for. Smudgeproof stainless steel sounds sensational!